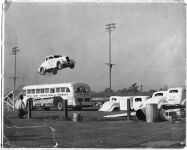 Bob Clay jumping over a Bus - 1937 In the late 1930's, Bob Clay was the owner of the renowned thrill show troupe, "Bob Clay's Death Drivers", which travelled across the south and mid-west, entertaining people with their death defying car stunts. Bob had left his home in the Oklahoma Dust Bowl, to make his fortune. Starting as a prizefighter at age 18, he earned enough money to buy his first race car, and which eventually led him into the thrilling life of a 'crash artist'. Bob and his band of gypsys toured all over the Southwest during the Depression years, and on the way, Bob honed his skills in chili making. In Texas, he learned about the rich dark spices, used by the famous Chili Queens of San Antonio, and the red chilis found near San Angelo. He was introduced to the New Mexico family of chili peppers when his show performed in the area near Roswell, New Mexico. 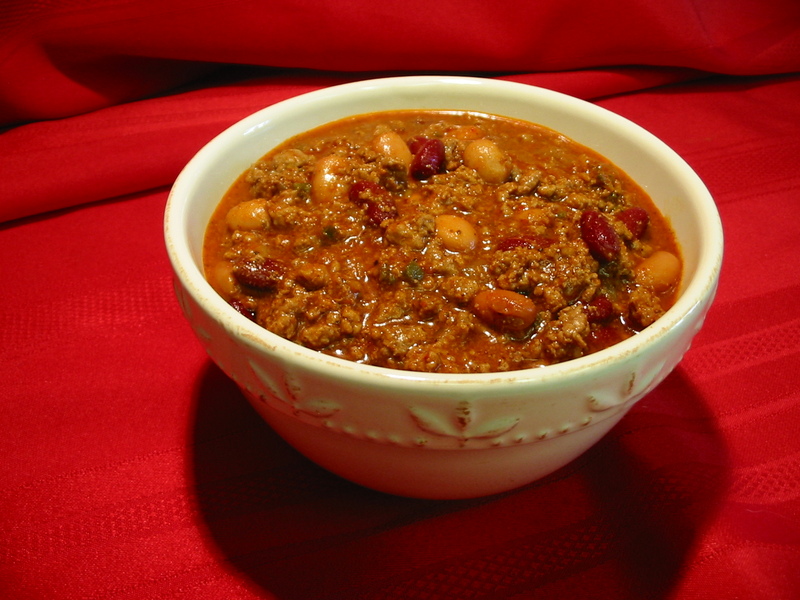 Even after leaving the thrill show business, Bob continued to perfect his chili. 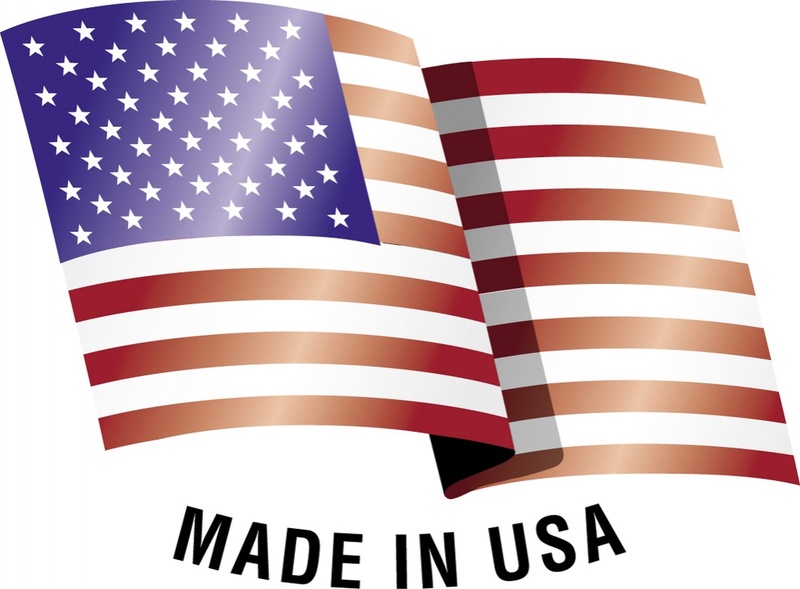 During his travels to Columbia and Cuba, prospecting for oil and uranium, he incorporated chilis from those areas into his signature Seven Chili Blend. 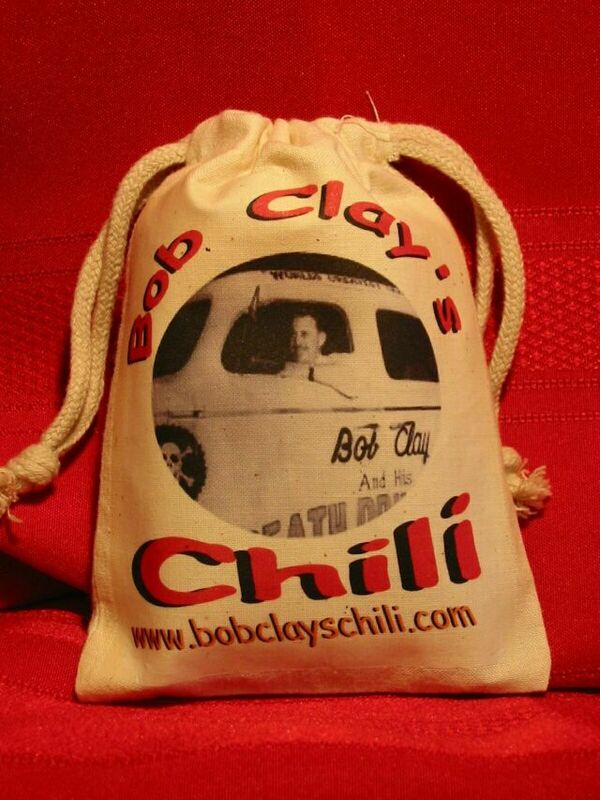 Now you can make Bob's handcrafted chili in your own home with Bob Clay's Chili tm.